If you want to contribute to this map pl. post your experiences in the comments. On friday morning I decided that I wanted to get a Fastag. I looked at all the experience of people of this group and thought to myself... do I really want to do this? Was I ready to talk to bank call centers... and pray for things to happen. I called all the Banks that came up on the Google search... HDFC, AXIS even ICICI... but all they could do was tell me that "someone will get back". 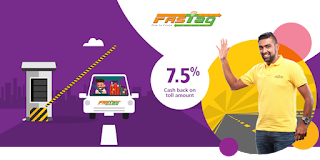 One guy told me that ICICI FasTag officer is there "in every toll plaza" and all I had to do was go to the nearest one and get a Fastag. So I called the nearest Toll plaza (some 30kms away) and the officer on duty said he cannot answer questions about "any ICICI bank fellow and all". Finally I thought, let me call NHAI... surely they can help me. So I called their Guindy office (some 10kms away). The lady on the end of the line bounced my call around a little and finally said "there is a gentleman called Venkatesh... He was incharge of this in our office... let me give you his number maybe he can help you". So I called and spoke to Mr Venkatesh and he was very helpful. 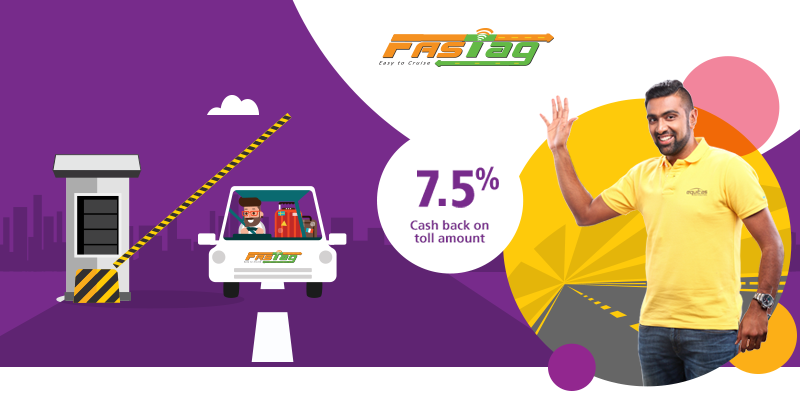 He was not an NHAI employee, but an agent contracted to provide FasTag. To cut a long story short... really short... I WhatsApped him by DL, RC, Aadhar scans and transferred the money (Rs.600) to him via IMPS. In less than an hour the online account was created via the Equitas Bank FasTag portal and in less than 24 hrs I had the physical FasTag in my hands in Chennai. He even sent me a cute little video of how to clean and stick the RFID tag on my windscreen. 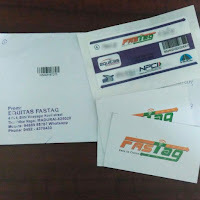 I was really impressed with the super fast service of this FasTag agent and I wish to recommend his services (N2N Solutions) to all my friends in this group. I spoke to Venkatesh and he said that anyone who refers this blog post or my good friend HVK's HiVayKing club will get priority service. Give a Missed call to 8144110110 and someone from his office will call you to collect the information. You will then have to Whatsapp your ID proofs and wait for the tag to reach you superfast. In case of any questions/delays/problems you can speak to Mr. Venkatesh on 9488554433.